Bonsai is now in doggie heaven. I hope you enjoy this happy photo taken in my back garden of Bonsai surrounded by spring flowers. Goodbye to my special furry friend ~ companion, garden helper, show-dog, and a delightful performer at charity dog trick displays. Oh TT ,, You,ve made me cry . Goodbye Bonsai you lovely faithful friend . I'm so sorry to hear about Bonsai. It's a terrible time when you lose a very much loved friend. Thank you Amy, Percy, Deida and Hywel. And thanks to all GoY members who have been so supportive at this difficult time. Your many private messages have been a great help. Please be assured this is a happy photo. This is a springtime picture, full of hope, to celebrate the years of fun-filled times and love Bonsai showered upon me. So sorry you lost your special friend, I couldn't help but cry when I read the news. He couldn't have wished for a more loving, caring owner and I know he will always be with you in your heart. ~ I know there is nothing anyone can say to make you feel better~ but please know that we are thinking about you and if there is anything we can do to help~ just say! Thank you PansyP ~ I can't stop crying either. The past two days I couldn't even focus on my keyboard, but times will get better. Gillian and Arlene ~ thanks for your kind thoughts. I loved that little dog so much. I checked on you yesterday TT when I finally got back my internet connection. I saw that you had been quiet, most unusual! You made all the right decisions for him and he will have known that. Bless Bonsai, take care of yourself. Even in the short time that we followed his exploits Jacqui and I (and Ed) had started to think of him as a friend and true character. Just try to be happy about his life as well as sad about his leaving. Your photo of lovely Bonsai and your words say it all. Thinking of you, Special regards from Steve. Sorry to hear of you lose. He was a beautiful looking dog.kind regard to you and Bonsai. Pottygardener, Catfinch, Janey ~ All your kinds words are helping to heal the emptiness I feel inside right now. Thank you. John, Steve, LynWV ~ Thank you. I surprised myself by being brave enough to call a halt, and helped Bonsai to doggie heaven, just before I thought he was going to start being in pain. So he didn't suffer and that's a comfort. We all felt we knew Bonsai, glad you let him go in peace. Springtime photos always seem the happiest, full of hope for the new season. The support I'm getting from GoY members is easing the pains of my loss. Thank you. We loved the photo so much, had to add it to our favourites, will love looking at it. ~it is the most awful decision to make but I'm sure it was the right one for him and you~you can take comfort from the fact that you helped him right to the end~and that he appreciated it! What a beautiful photo of lovely, clever Bonsai. RIP, furry friend. TT - I am weeping too - it's so sad for you, but you did the right thing and just remember that he had a happy, happy life with you. You've got everything in there. mowers, and honey, and sunshine, and olympics and wellies. I reckon Summer helped you with that line about the honey. Lol. Our messages are getting beautifully muddled here, but I reckon we can all work out the threads. Thank you Spritz. Please send Henry a hug from Conker the Sheltie, and Crocus the budgie, neither of whom quite understands what's going on. Sorry for belated condolences only found this by scrolling back through photos. So sad as he obviously meant the world to you and sure you will feel a large gap has been left in your life. Jane has been through this 4 times in the last 20 years and her philosophy has been to give them all the love they need when they are alive and even more when time is right for them to go. Its to your great credit that you found the strength to put your own feelings to one side and do the right thing for Bonsai. BB and Jane ~ thanks. Yes, Jane has the right philosophy. Love for the pet can be so strong that your own feelings at that very important moment don't matter. You do what is right for the beloved animal. I was lucky that the vet's magic medicine meant Bonsai did enjoy his 13th birthday and a few weeks more. As with you, I'm still in shock. He was so very fit up until end of September, so all rather sudden. and Spritz facing the amazing cow invasion. But I gave them all 'likes' as a gesture of support ! I hope none of them thought I like what had happened. Awww - hugs for you TT - I was just wondering how Bonsai was getting on. Bless him. Yes, I'm having trouble sleeping, but I guess that's not surprising. Conker the Sheltie has just practised a super trick routine with 'real noises' vacuum cleaner, mops, buckets and brushes, so we're bravely moving onward together. Oh toonie my heart goes out to you. I had to make a similar decision with my dog the year before my husband passed. She was 16 and so faithfull. She was Border collie & Lab, so sweet and always herding us her pack and loved to play frisby in her younger days. She was suffering and in pain and we couldn't bear it any longer so it had to be. I was with her on a blanket on the floor with her head in my lap and would not have wanted any other way. Your Bonsai had a wonderful life with you and you have that to remember. Bonsai is always with you toonie, you just can't see him with your physical eyes. Sid ~ thanks for the hugs. Gloria ~ Thanks for your support. Beautiful photo of your boy.. Your many messages are helping a great deal to fill the emptiness here. Some of you are newer the group, but we are all one big friendly worldwide GoY family. Sending a hug TT so sorry for loss of beautiful Bonsai. I so feel for you take care . This poem on a sympathy card I recieved on the loss of my parents means a lot to me and has special place inmy heart . A rose once grew where all could see. Sheltered behind a garden wall,andas the days passed swiftly by,it spread its branches straight and tall. A beam of light shone through a crevice that had opened wide . the rose bent gently towards its warmth then passed to the other side. That poem is so beautiful. I'm making a special book for Bonsai and I'll put this poem in it. I thought you would like this. TT,I am so sorry for the loss of beautiful Bonsai.I was hoping that with medication he would be able to go on for a bit longer.No words can help the pain you are going through but please be assured that it was for the best and even though Bonsai has now gone over the Rainbow Bridge he is now Healthy and Happy along with all the new doggy friends he has made over there. I still can't believe he has gone. TT Keep your pecker up Bonsia will always be part of you. You're always there with encouraging words. ~how is Conker coping?is he ok?Are you OK? Can't say where I've been that I missed this...Oh TT...my heart goes out to you. Thank you. I've sent you a personal message. Please don't worry about missing Bonsai's photo. It's not easy to keep track of everything. so apologies to those members whose photos and blogs I might have missed. Thanks for asking about Conker. I've started practising more trick routines with him, and he has even tried out Bonsai's birthday mower. Conker has volunteered to take over Bonsai's mowing duties. Conker does sometimes actively look for Bonsai, but I keep it simple, if painful for me, with the words "all gone", which Conker understands. You must be totally exhausted we are all here for you TT. So glad that you are sleeping better. Please rest and take care of yourself. We need you here when you feel better. I've had some rest and sleep. My wife loved your poem, she has copied it off. Hope you don't mind. Gradually getting back into things. Fantastic poems above from Jacque and from Scotkat. DoctorBob I certainly dont mind thsi is special to me its on a sypathy card which is very close to my heart as 2yrs ago I lots my Dad then two weeks after my Mum shame they coudl not have had joint funeral but scattered ashes together then 6months afer my brother birth family wipe out. Sorry to take over TT but yes Doctor Bob this is a lovley poem. Oh TT sorry I got to hear this rather late, Bonsai is surely in Doggy Heaven RIP Bonsai Dearest, you lovely cuddly pet. Take care of yourself TT and stay blessed always. I'll reply to your lovely private message tomorrow. 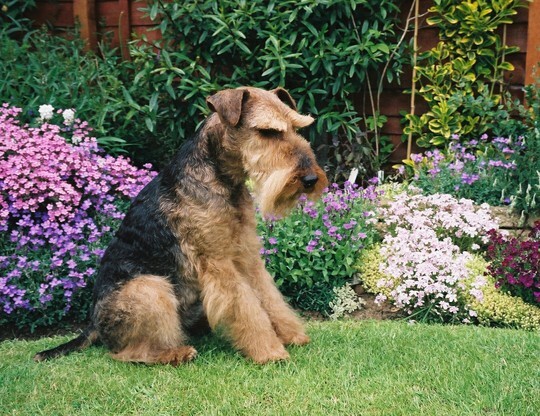 You are VERY eloquent because "delightful little chap" so well sums up Bonsai the Welsh Terrier. We are so sorry to hear of the sad loss of your faithful and loyal friend. We are sure you will have lots of happy memories, and we are thinking of you and send our love. So sorry to hear of Bonsai's passing. I know he will be deeply missed, as he was deeply loved by you and your family. You are in our thoughts, take care of yourself, and best wishes for a brighter tomorrow. Thanks so much for your messages. Yes. There are so many happy memories. Bonsai is very deeply missed. Conker my Shetland Sheepdog and Crocus my budgie are both helping to keep me cheerful. TT im so sorry to hear about Bonsai's passing. Yes, Bonsai is definitely in doggie heaven. Panther told me today that Doggie Angels are serving Bonsai all his meals. Isn't that a lovely idea. Thanks for your kind thoughts. Arabela is a lovely name for a dog. There's a whole group of them up there with their wings on, having a great time in doggie heaven. Thanks for your kind thoughts and hugs. Oh terratoonie i am so sorry i logged in after not being on for a while and was so sad to see your news, Bonsai had a wonderful life and you must feel blessed he shared it with you, my thoughts are with you and the rest of your family. It is just me with C & C now. Conker the Sheltie and Crocus the budgie. Xela has just uploaded a photo of wonderful 17 year old Jasper. I didn't tell you the news yesterday. Wanted you to enjoy showing your holiday photos. I'm missing Bonsai so much. My house seems very empty without Bonsai. Thank you Jane. I'm still have trouble adjusting. You're right. The empty feeling doesn't disappear. You just get more used to living with it. am new to this site, and thought what a clever dog..wish mine was too..sorry to hear that..I like to think he is clowd mowing up there..
What a wonderful thought, that Bonsai is mowing the clouds. Your Greyhound looks lovely in your photo. Tis always sad to have to say goodbye to our pets, isn't it? Are you after a while going to have another pet? Ours is this Jan. 5th 12 years old and we know that by the time we have to say goodbye to ours. we won't be in a position to have another one and raise it. As we'll be having to think that we might not outlive our pet and we don't want to be in that position. We cared too much how our pets are taken care of and we see so often that it just isn't the way we would like it to be, you see? I am lucky in that I still have Conker the Shetland Sheepdog, and Crocus the budgie which you can see on my other photos. poor lad crackin photo love it thats well drawable. maybe not maybe you do something i dont and we can swap skills.maybe you got something you dont want that i do.im always open to offers. I could give you advice on getting the Terrier to look right for your fountain. Lol. Nice animals who have been well looked after and need a good home . They can specify who they want as owners ie no boisterous children etc. and they nearly all find homes after home visits to asess suitability. The staff try hard to make sure they have a happy final few years and are genuinely pleased when the owners keep in touch and bring them along on open days. It is very worth while. Also, some rescue centres, in certain circumstances when re-homing older dogs, will pay towards vet bills associated with elderly pets. when you bye a pedegree and im guilty you leave another dog homeless. Ironically, a lot of pedigree dogs are homeless. Lovely to hear the stories of wonderful relationships which build up between pets ! Bet Bonsai would have been well chuffed that he has made people think about re-homing well done Bonsai! Yes, with the credit crunch, animal rescue organisations are getting even more dogs, cats, bunnies etc, to re-home. lets face it i know im a hypacrit theres a good reasen mongrels generaly do better.its because they have a large gene pool.the kennel club excepts still father and daughter mixes .surly that is moraly wrong.there would and should be uproar if people behaved that way.i know if got a sharpi but the other 2 arnt pure.even jerry is one part clumber and seven parts springer.im going to in my defence breed sausage with a french bulldog but not another sharpi i dont think.pedegrees will nearly always get homes .mongrals dont realy.dogs go out of my house in a box if you know what i mean.people dont realy apreciate just how inteligent animals are.how many of you have herd someone say ,its only a dog . We can get attached to any pet. Yes, I've heard 'It's only a dog'. Also heard 'It's only a budgie'. And dont they make us feel better and they only ask for a warm place to sleep and food and affection, more people should be like animals!! Our pets give unconditional love. I've just looked at your blog, Noseypotter. Check out my latest photo. NP..I like to think I am lovely....and I like to think you are too...in the dog world they have their feelings about their own too.....lol...their interactions with each other entertain me to no end...LOL...and look how they all clamour for our attentions..one over the other...and how they all are ok..as long as they all get the same amount of attention...but sulk when they don't for one reason or another. Beautiful dog - so sorry you had to lose him. Bet he did well in the show-ring though? Thanks... Yes he was a super show dog and clever performing tricks too. What a sweet looking dog so cuddly it looks. So sad, but a nice memory left of a good friend that was. It's clear how much you love your special Angelina cat. Not surprising you still miss your lovely Lab. Of course we will TT all are welcome for healing Bless all gods creatures! and that love will heal all if we let it!